I’ve already spoken about source controlling database using Visual Studio Online and Red-Gate SQL Source Control in this post. The described kind of approach brings a drawback, due to the nature of the plugin and VSO APIs: High latency when getting and syncing local database and workspaces. Italian Community Days 2014 are coming! The event is totally free! Three days of tech full immersion, dal 25 al 27 febbraio. I’ll present my “database under source control” session. My “mission” is to bring ALM knowledge on database side. I think that this topic is often underestimated. 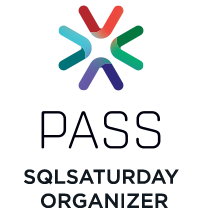 This year I will speak at PASS SQL Saturday in Verona with a session based on database and source control management. providing a variety of high-quality technical sessions, and making it all happen through the efforts of volunteers. I would like to share my experience in using Visual Studio and Red-Gate tools for database source control and continuous integration with TFService. So, I’ll wait for you all! This is the speaker list and these are the event details.